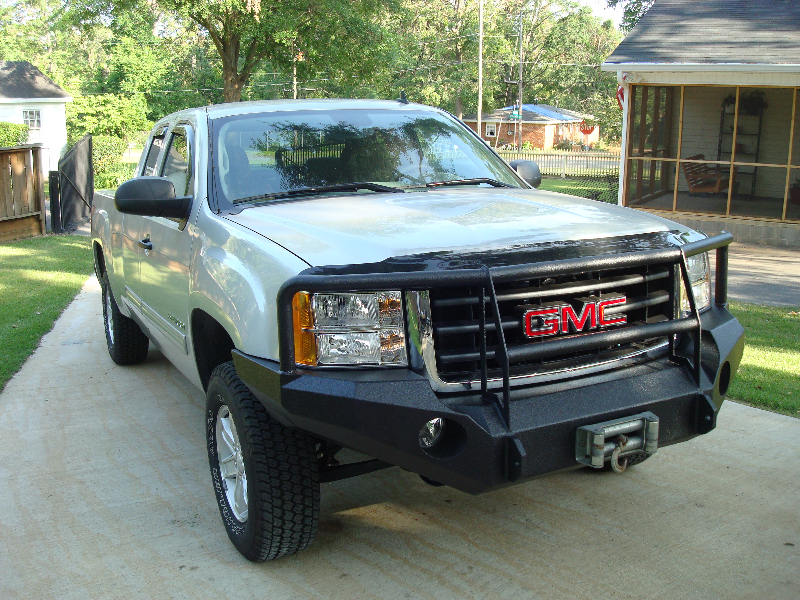 Due to the extreme custom nature of the bumpers we build, we must have your vehicle in hand for 3 days for a front, and 2 days for a rear. 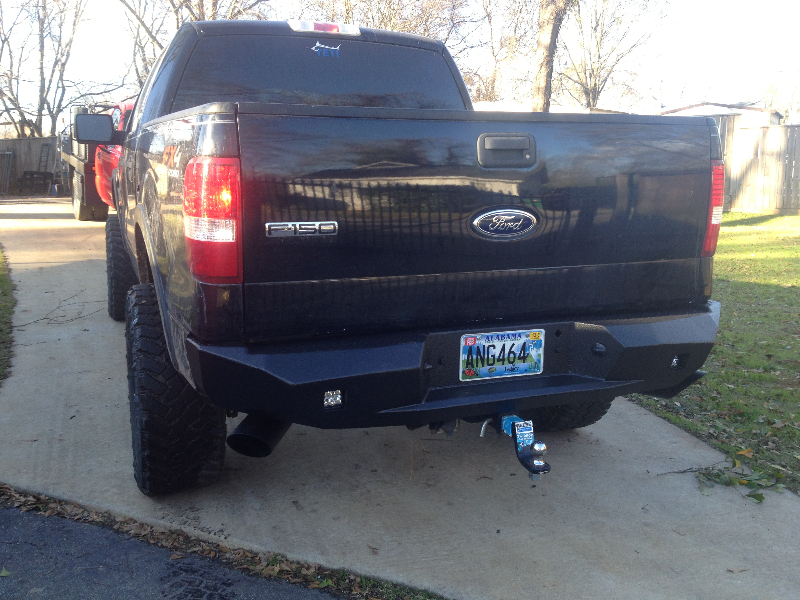 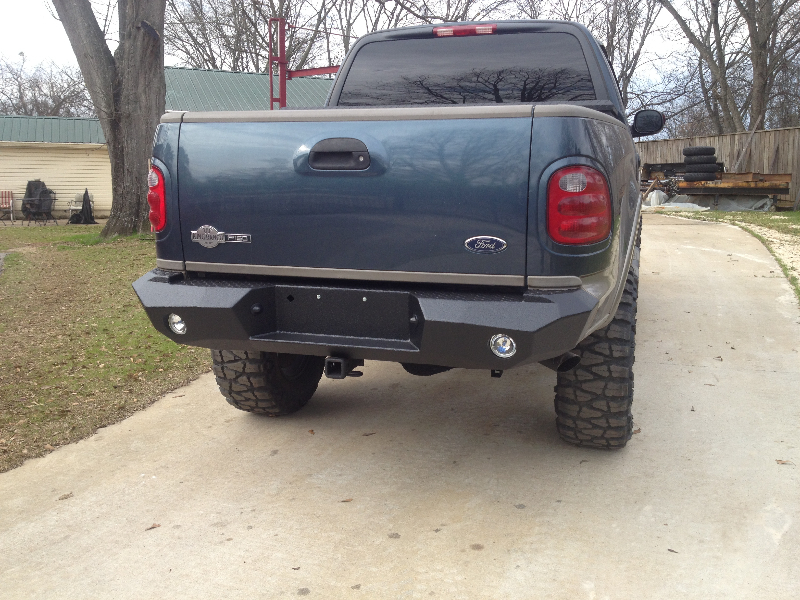 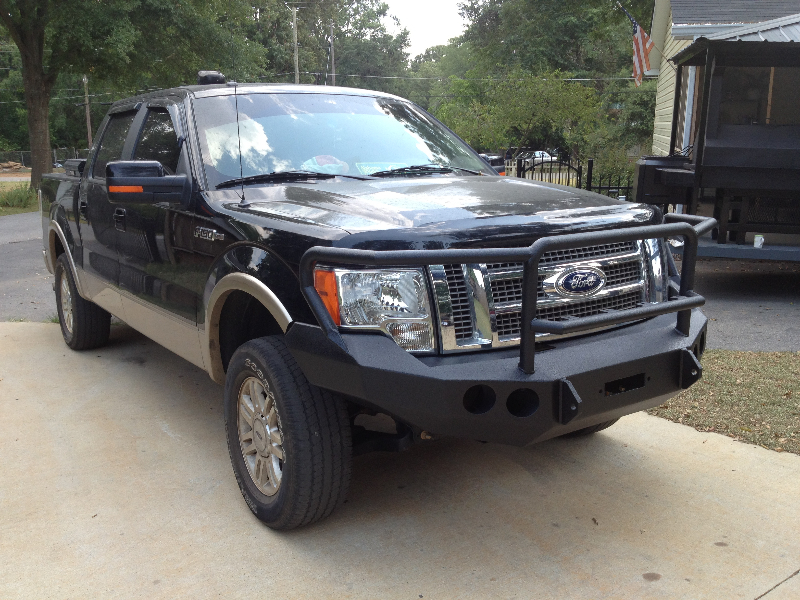 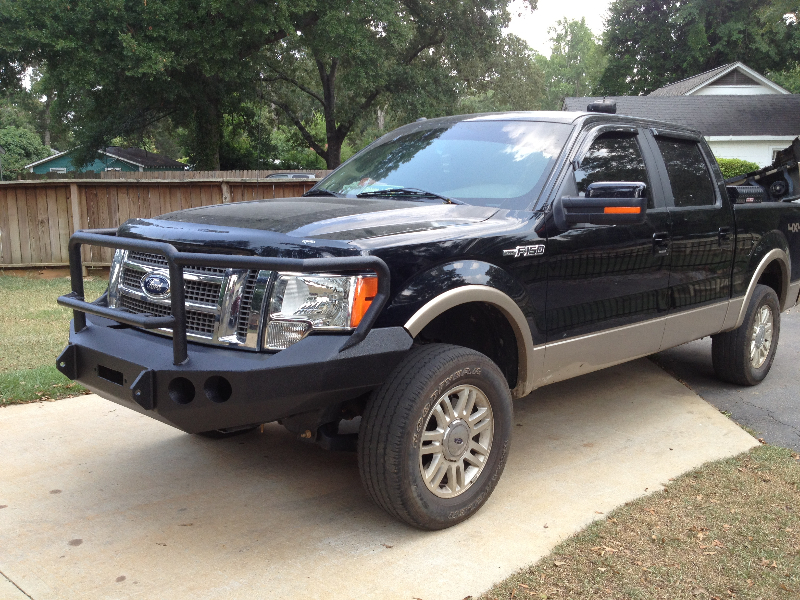 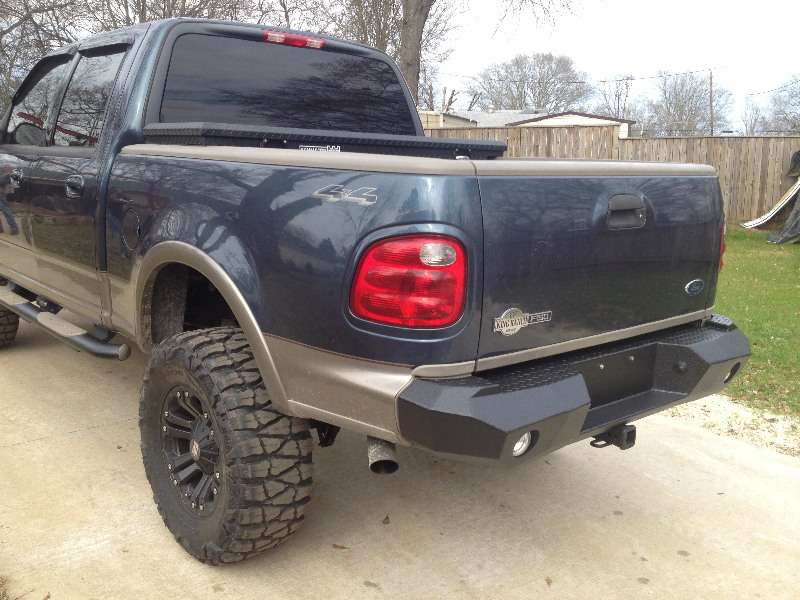 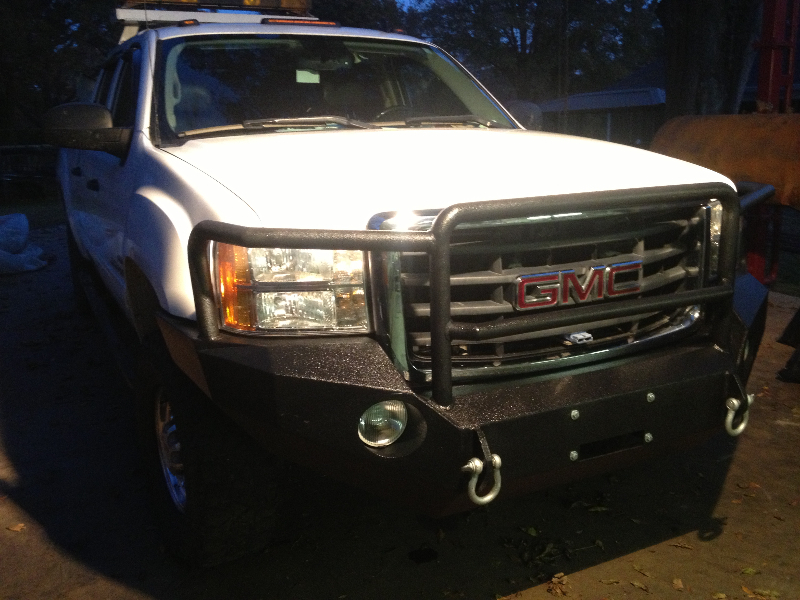 Every bumper is made to fit each customer’s specifications and vehicle type. 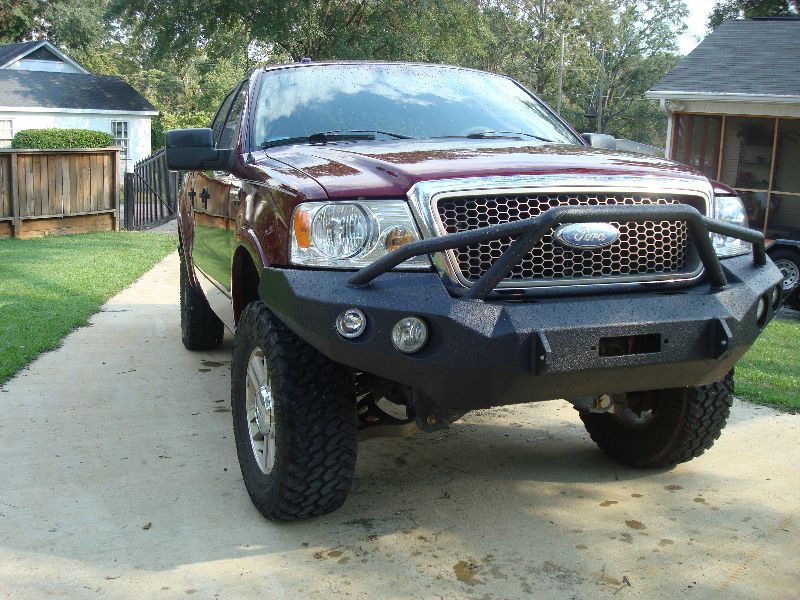 Bumper and bar design options are endless. 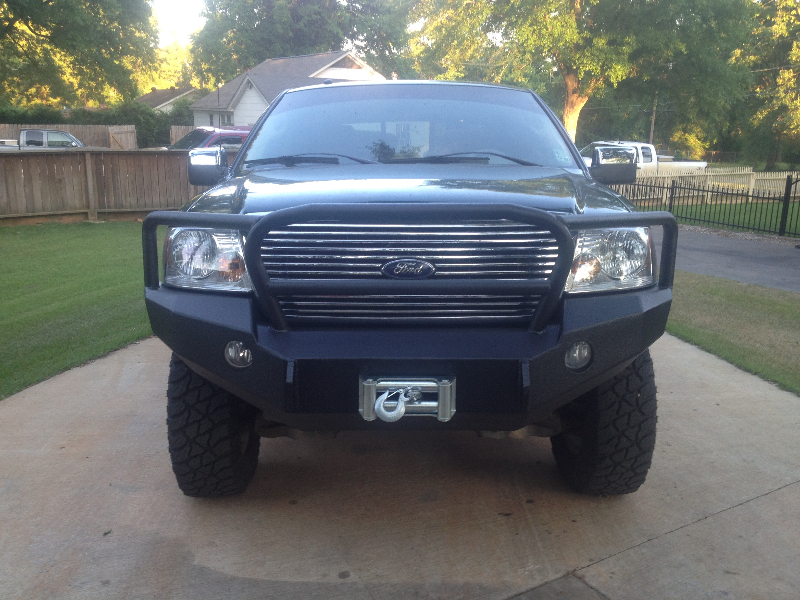 Let us know what you want, and we will make it happen. 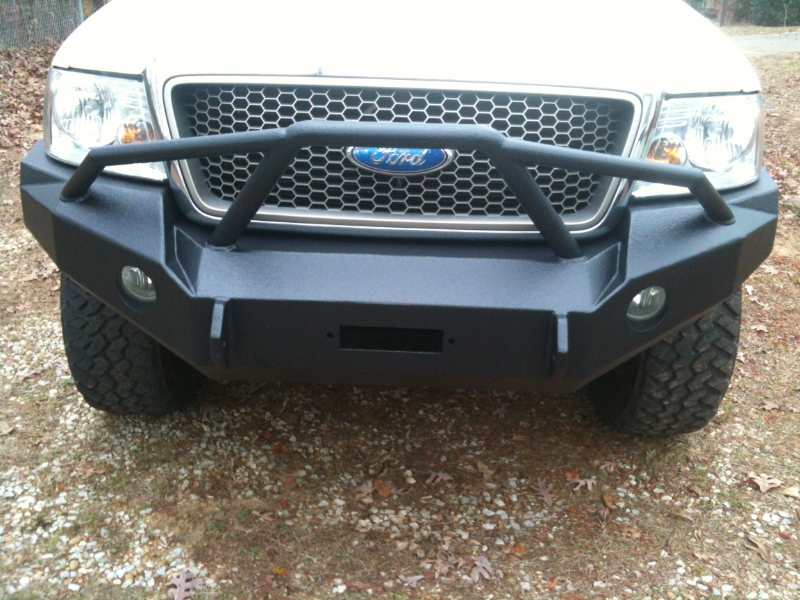 Our bumpers are some of the toughest and baddest bumpers in the country. 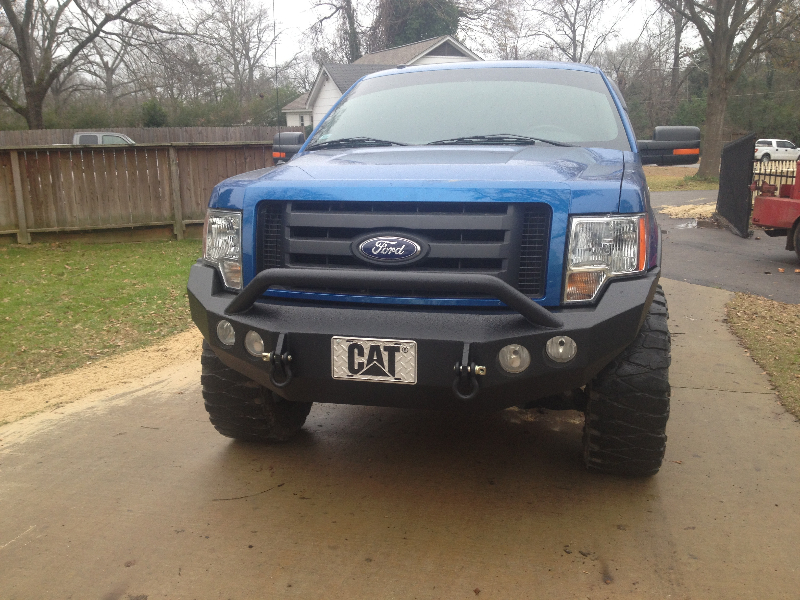 That is a fact! 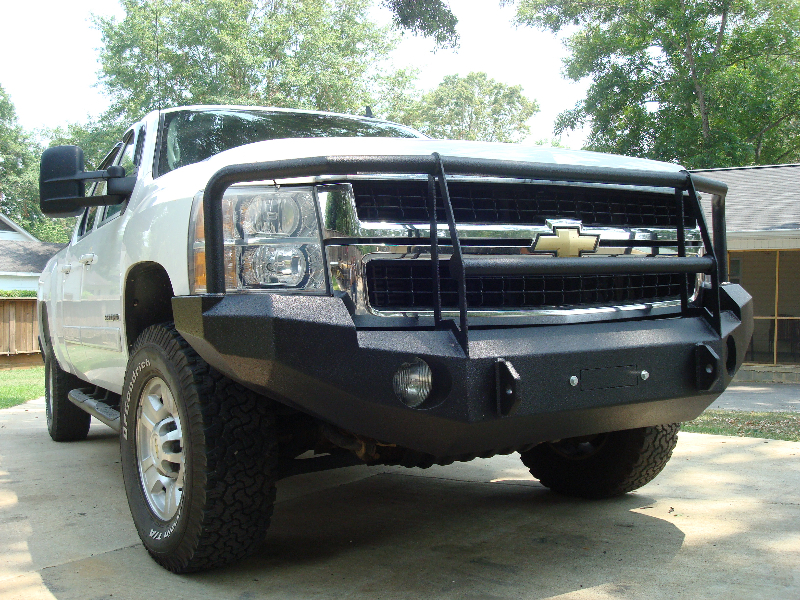 Our bumpers are constructed of 3/16’’ and 1/4′’ mild steel. 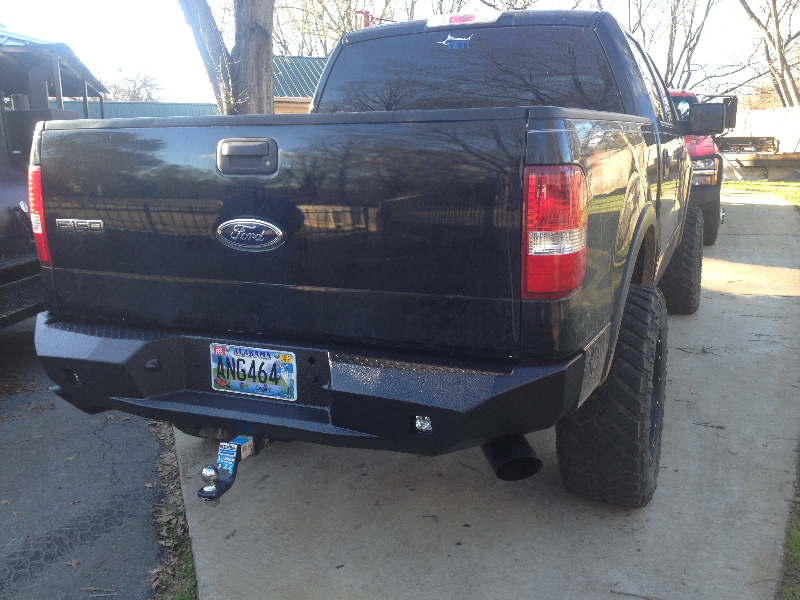 Most bumpers will accept up to a 16.5 thousand lb. 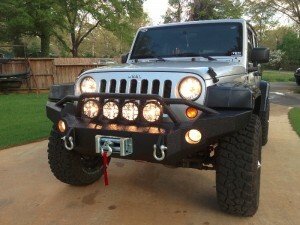 winch, depending of the vehicle make and model. 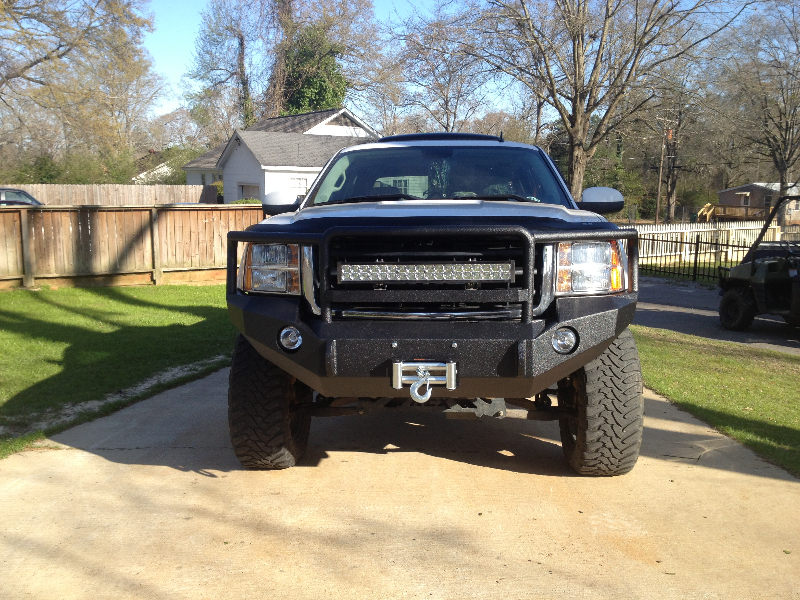 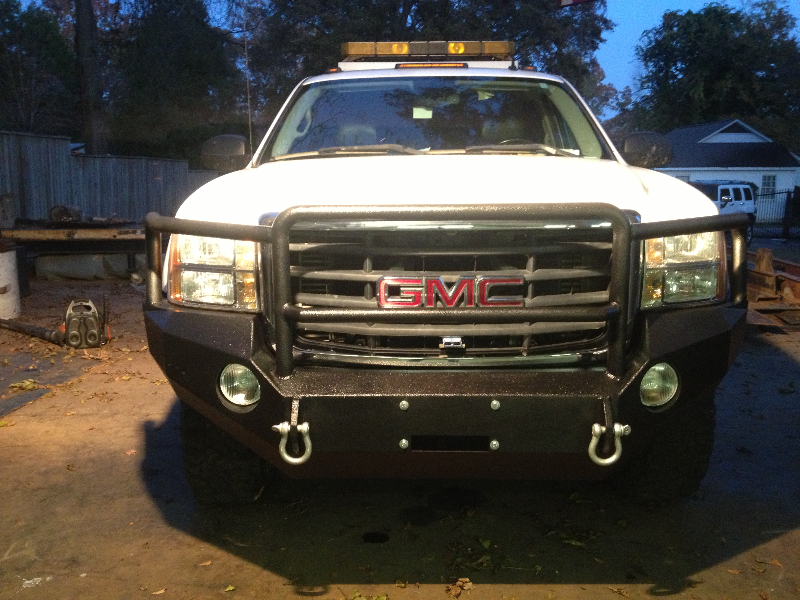 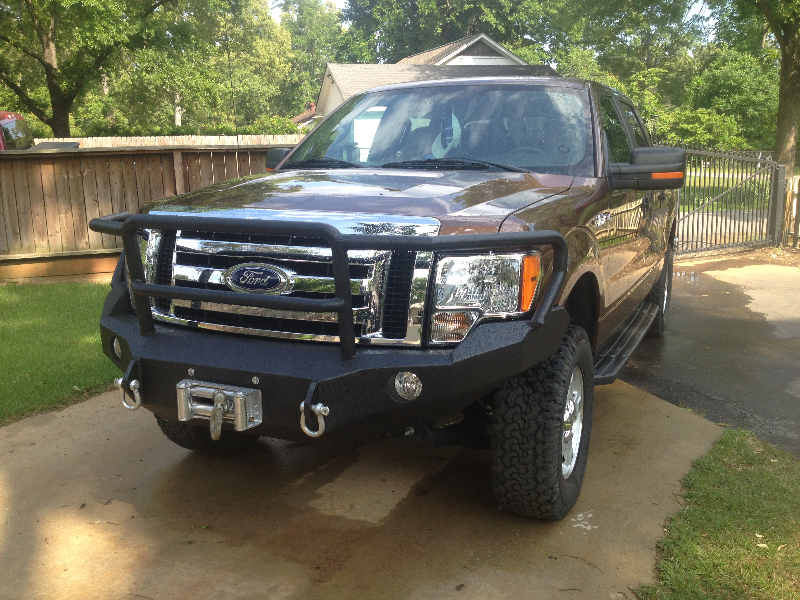 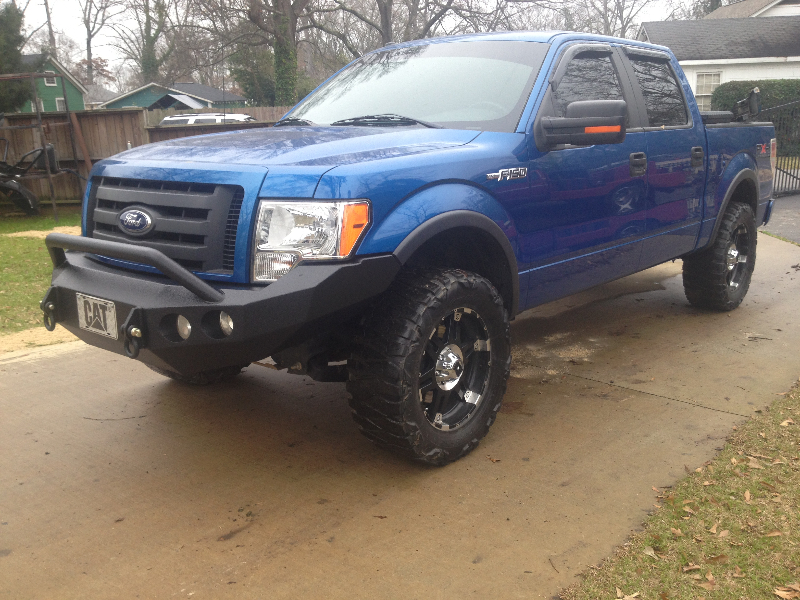 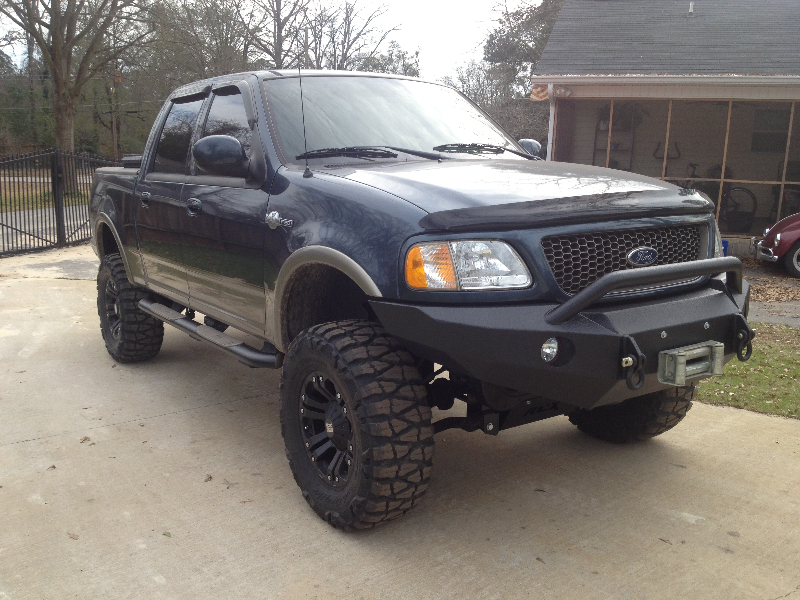 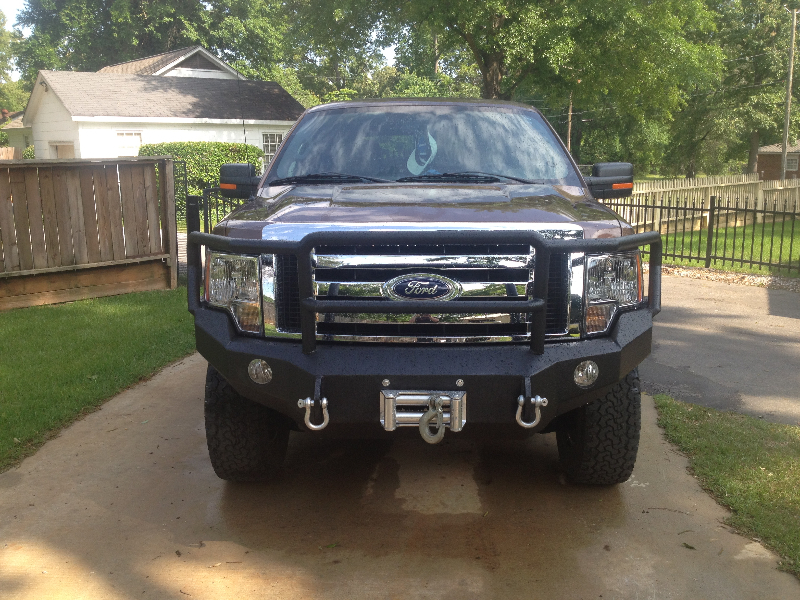 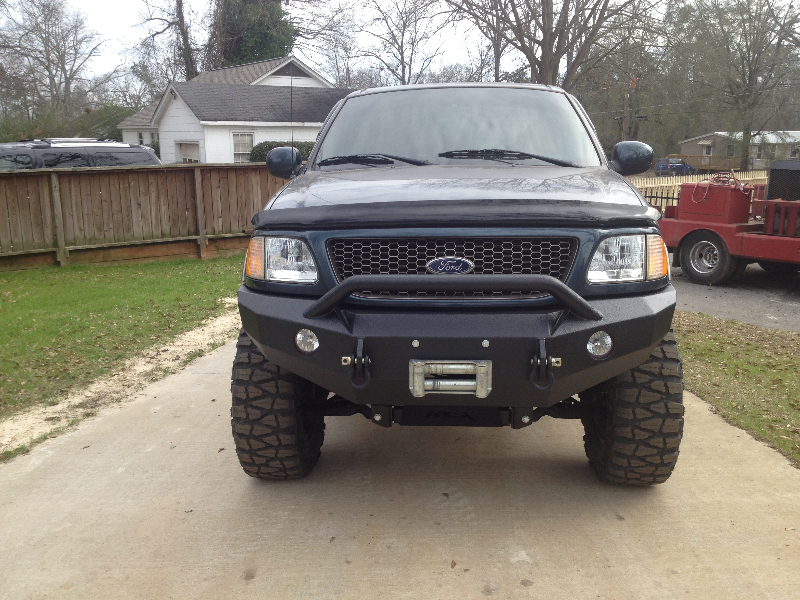 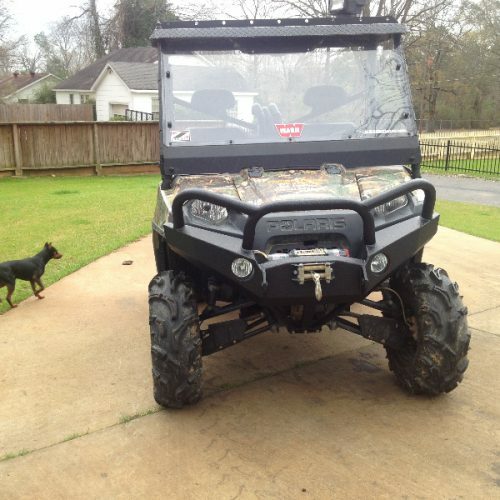 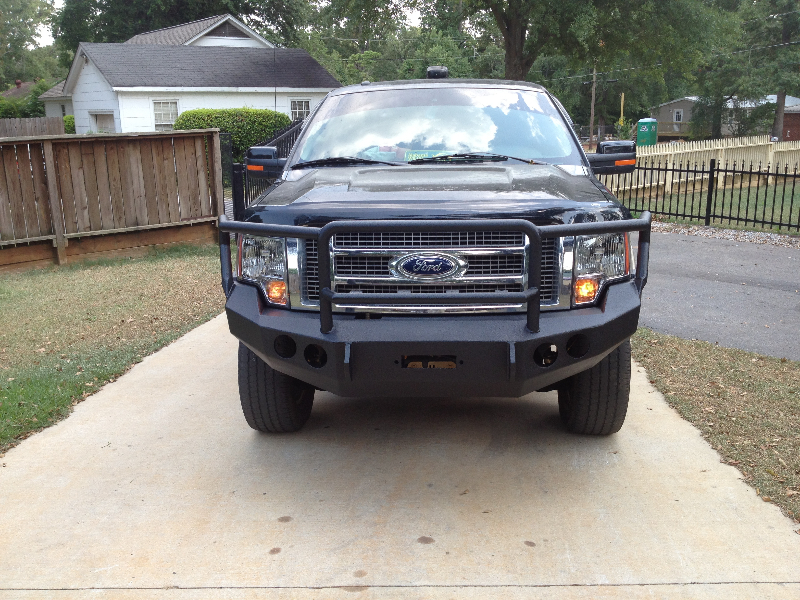 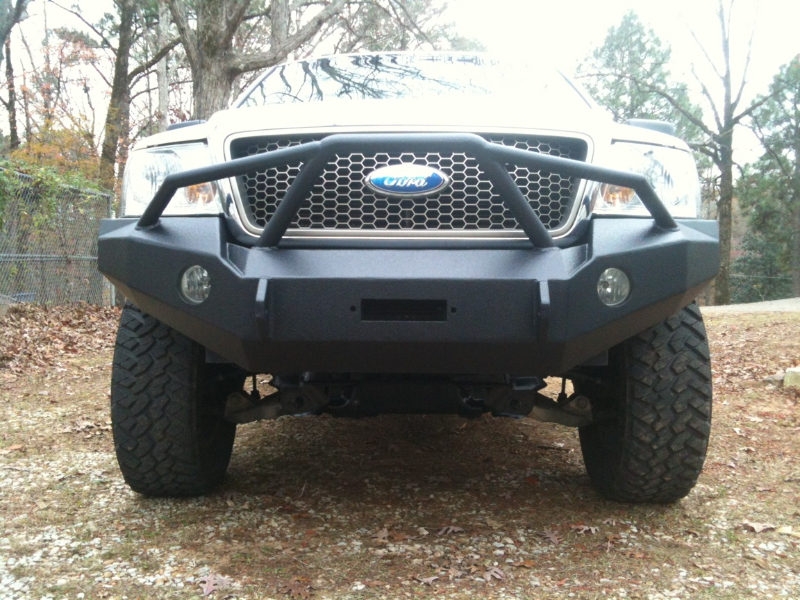 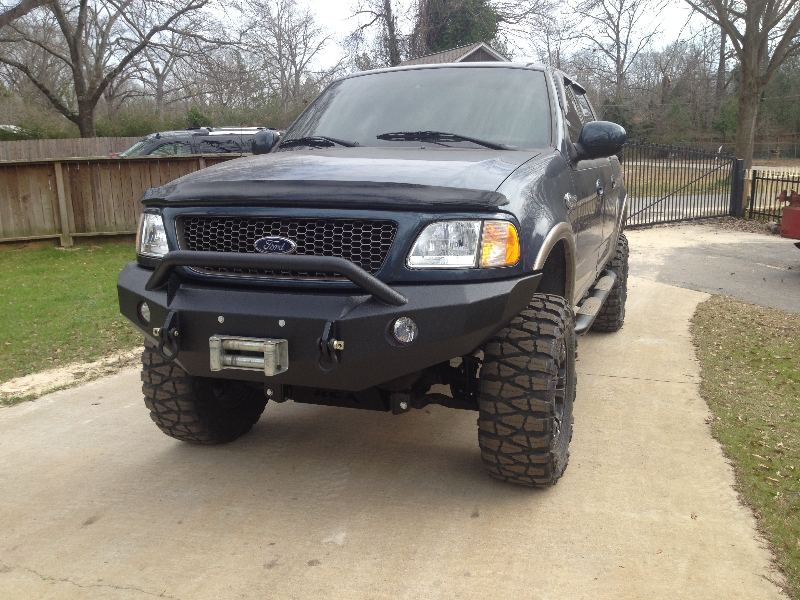 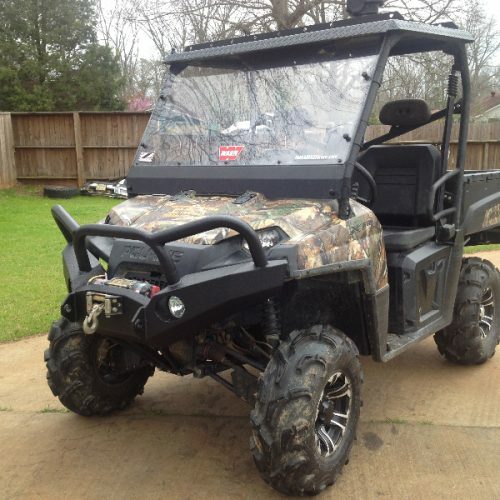 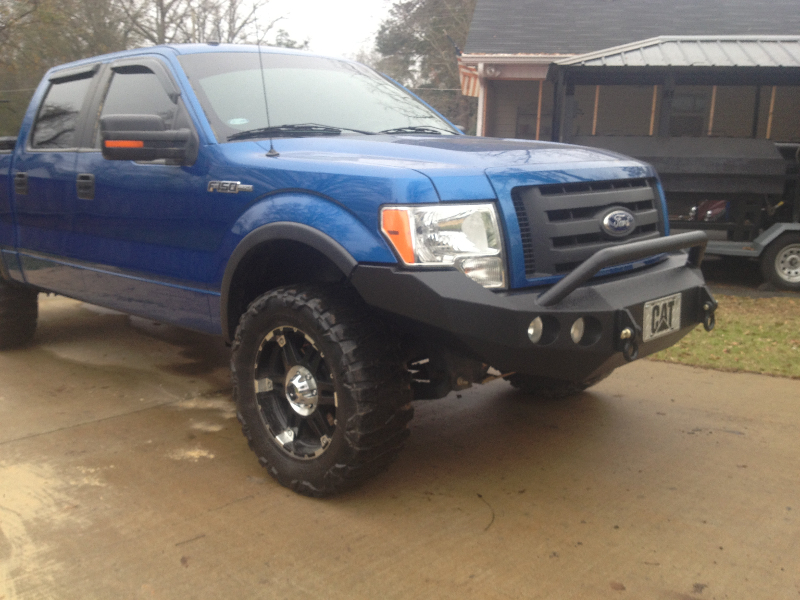 Fog/driving lights can be integrated into any bumper style that we offer. 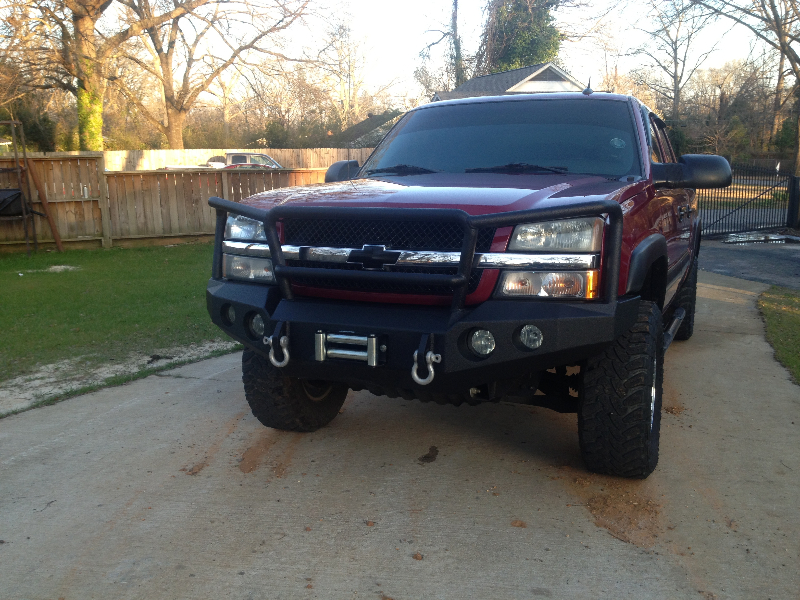 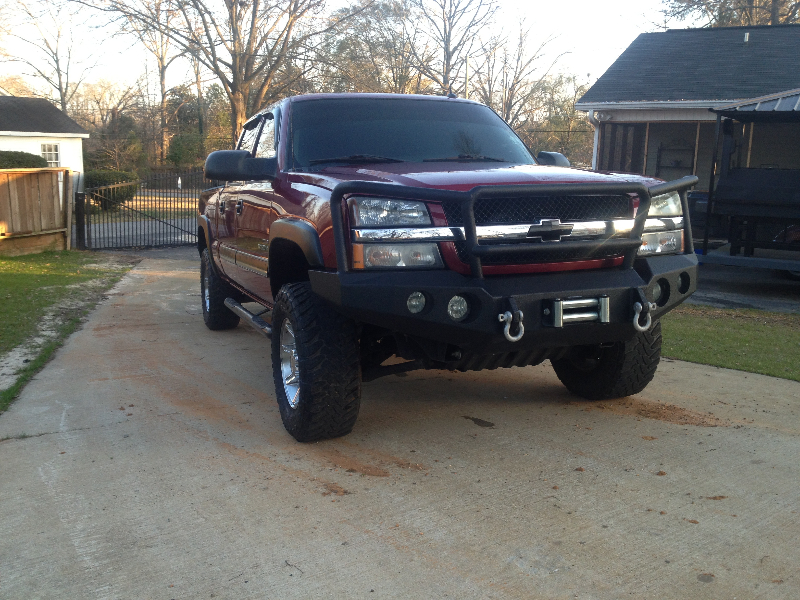 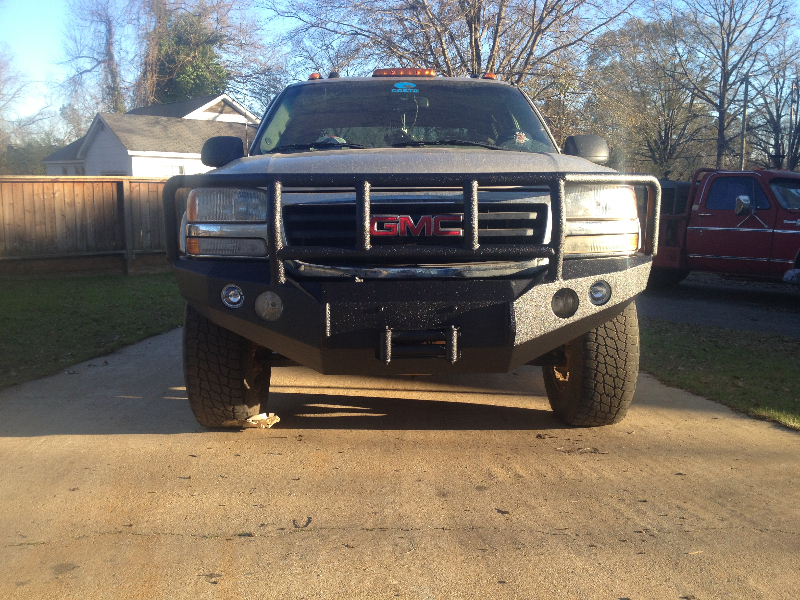 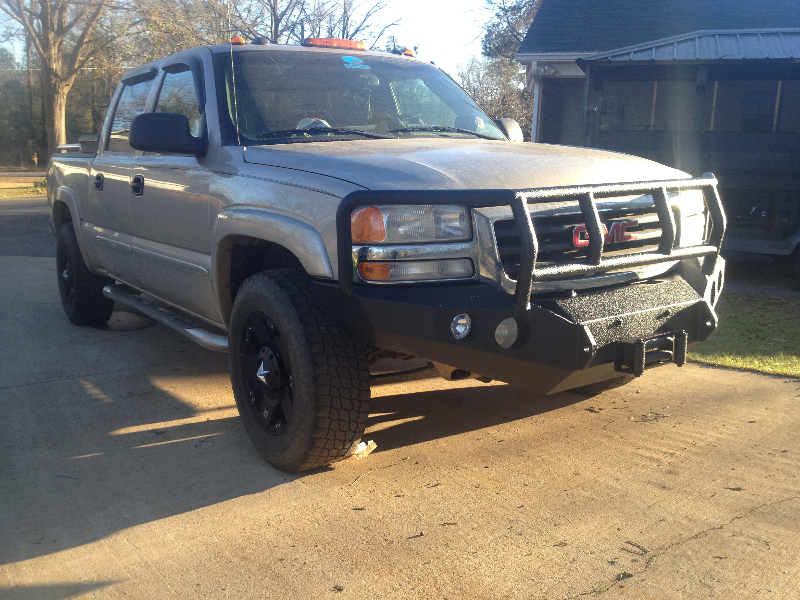 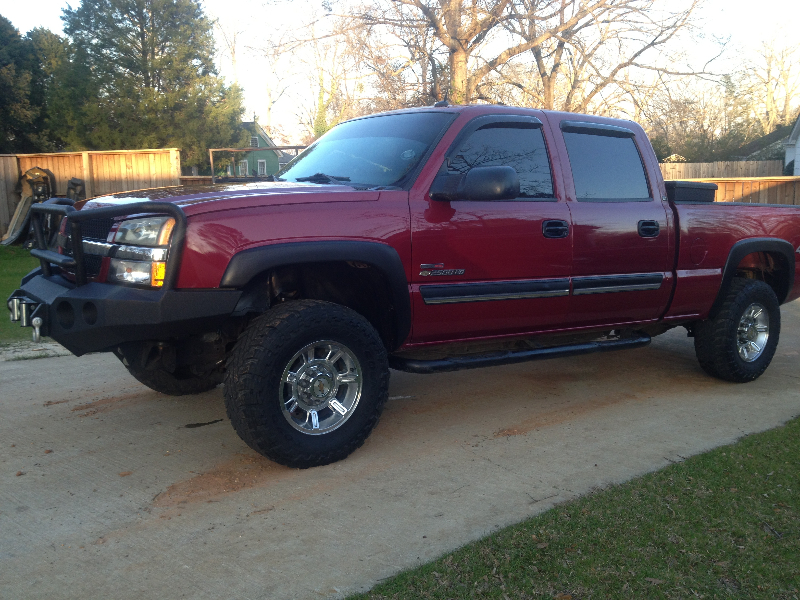 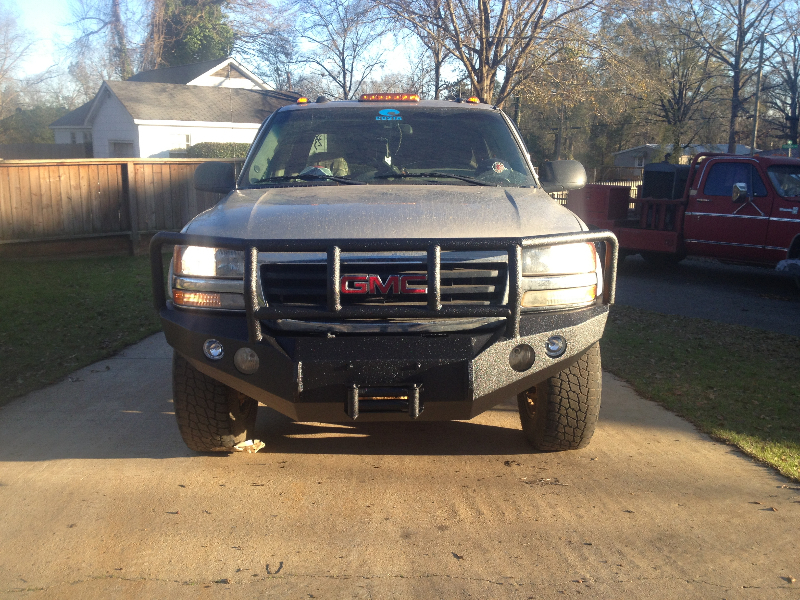 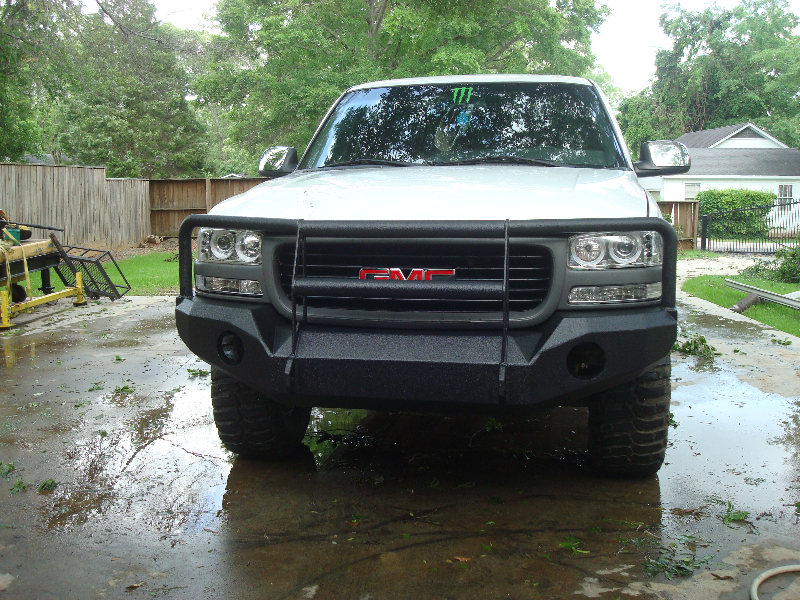 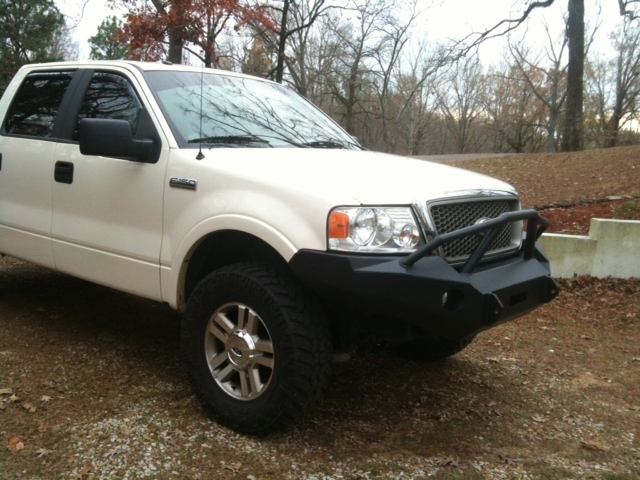 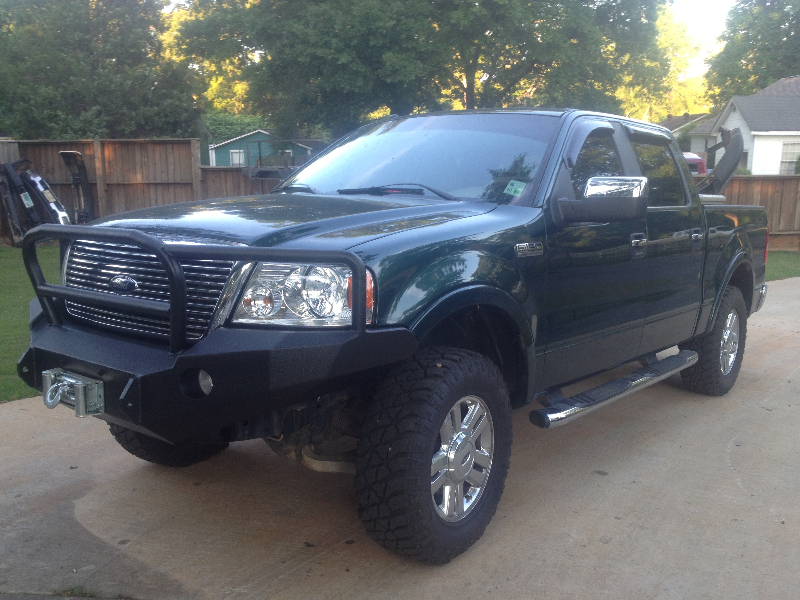 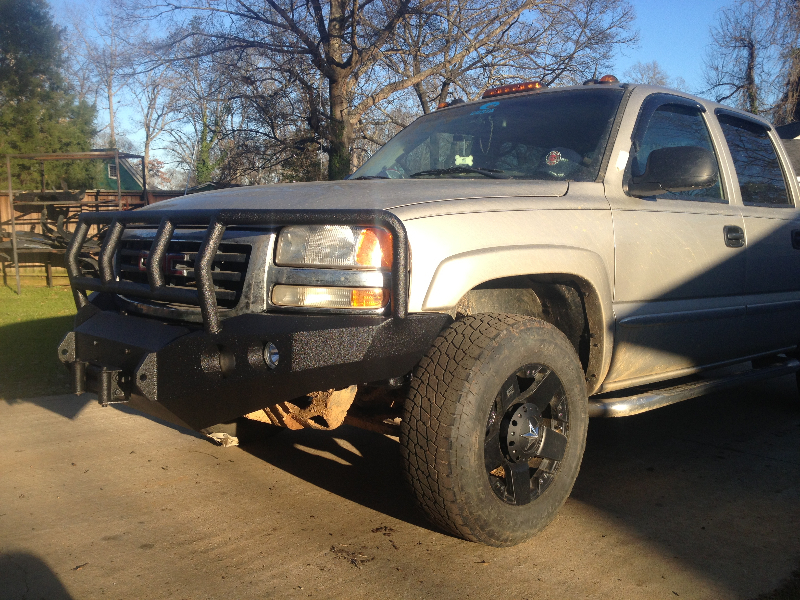 Tyler fabricated a front bumper for my 1999 ram1500. 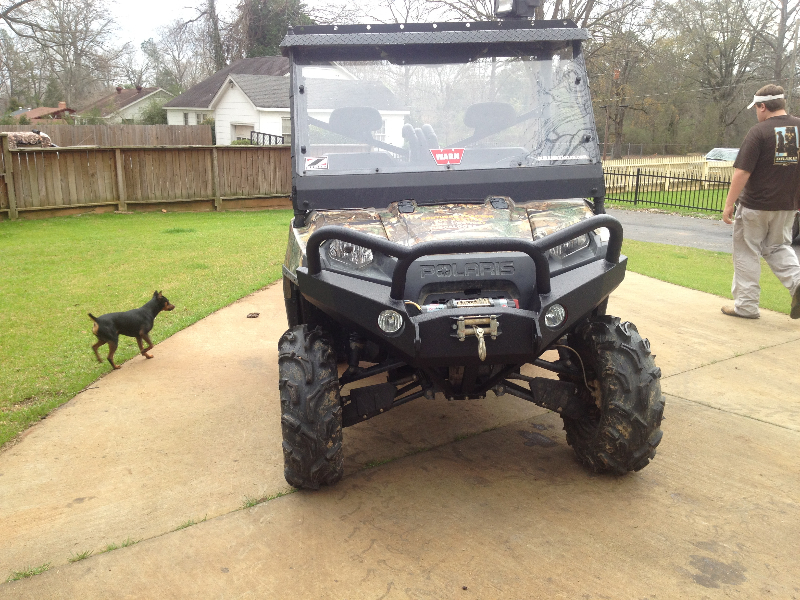 It far exceeded my expectations. 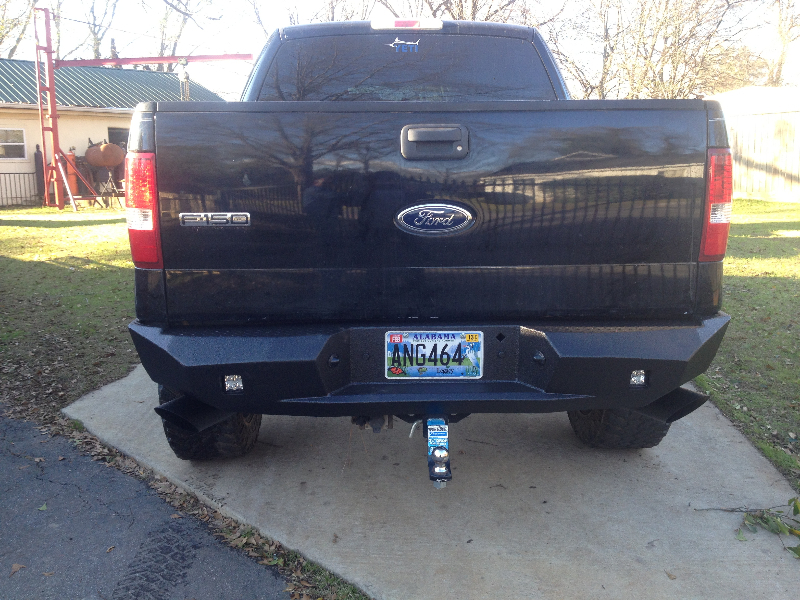 the bumper is tight and right. 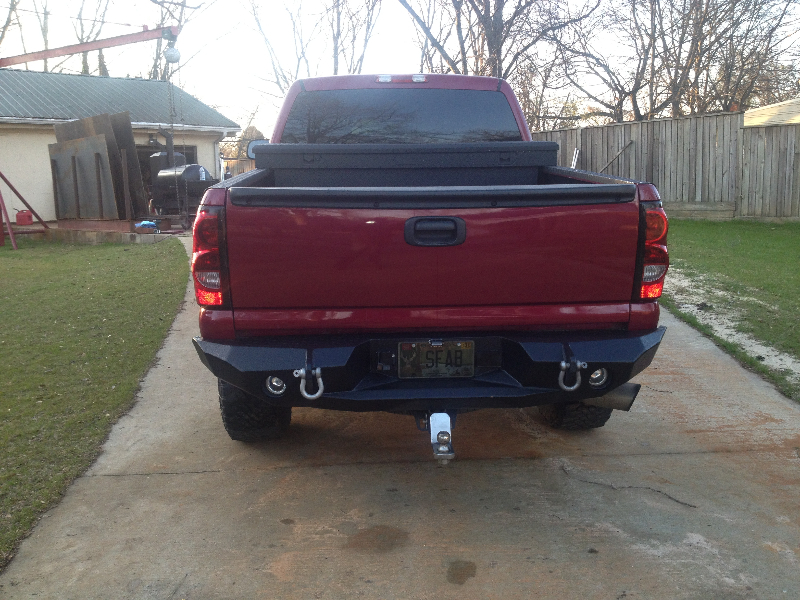 Will not budge even a fraction of an inch.Great quality at a super price. 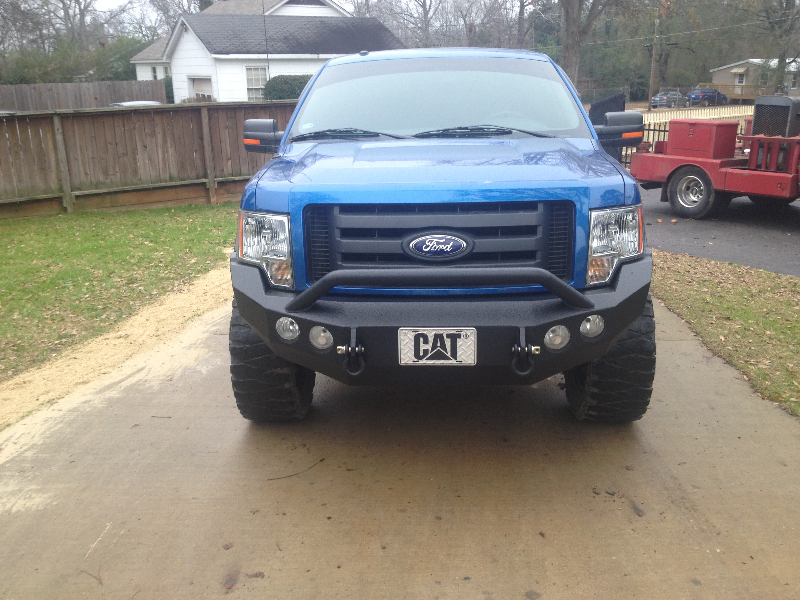 Thanks Tyler. 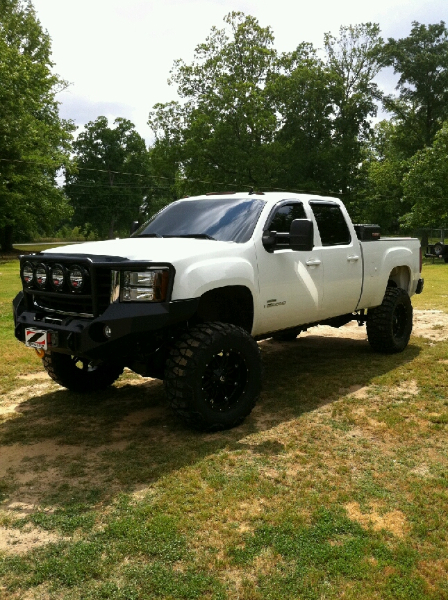 You are the man!